.ARE YOU FEELING STUCK IN ANY AREA OF YOUR LIFE? FEELING CONFUSED ABOUT WHAT YOUR LIFE'S PURPOSE IS AND WHAT YOUR HEAR TO DO? ARE YOU SEEKING MORE FULFILMENT AND HAPPINESS? WOULD YOU LIKE TO BE MORE PRODUCTIVE IN YOUR DAY TO DAY LIFE? 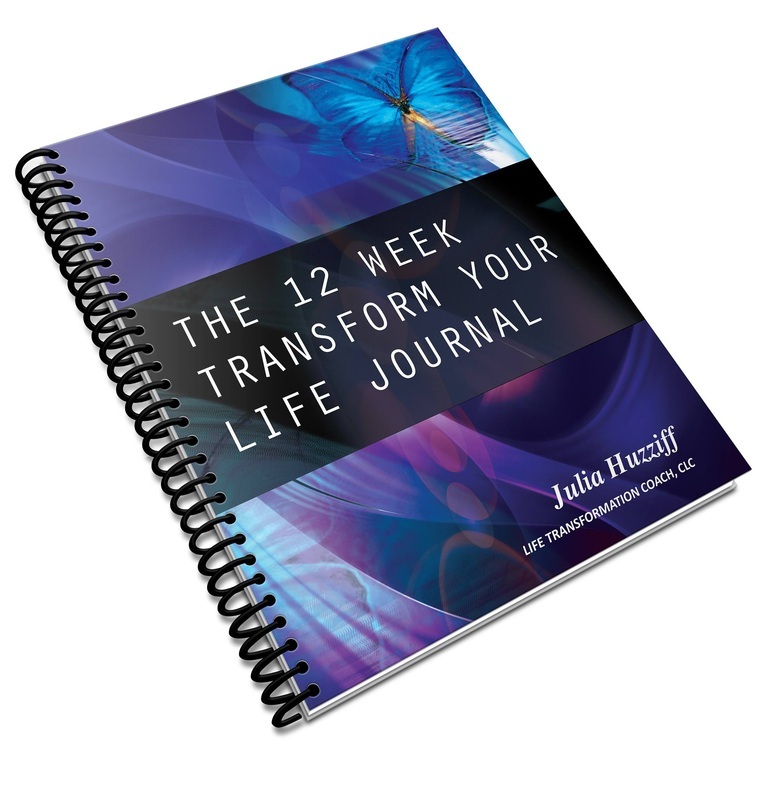 ​The 12 Week Transform Your Life Journal is a window of opportunity for thoseof us who desire more out of life. It’s a journey of self discovery that will illuminate your true calling and lay out a clear path to achieve your biggest life goals. A total life transformation in only 12 weeks. 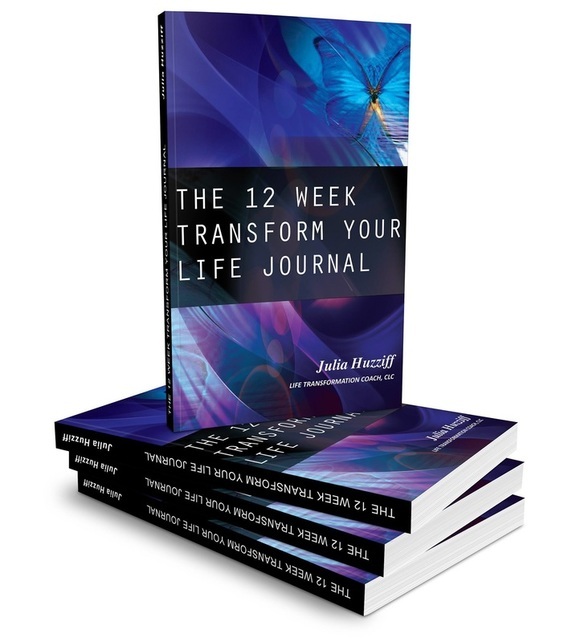 Life Transformation Coach Julia Huzziff guides the reader through a unique process of discovery and growth, uncovering hidden strengths and eliminating emotional baggage, until all that’s left are powerful core values, honest beliefs and natural abilities - exactly what you need to succeed. "found this workbook extremely helpful, as it keeps you accountable to your goals and will help you to stay on track with your transformation. Well worth it!!" "I did all my questions over the weekend and started proper today I was really stoked with what I realised about myself by answering all the questions. I am clear about my lifes purpose and the kind of work I want to be doing, but I was surprised that somewhere along the line I forgot to have role models So I spent some time with that and realised that I have a lot of people in my life that I admire and that actually probably unconsciously I think of them as role models Feeling more focused and I realised that the most important thing for me right now is to make myself feel proud of me!! Amen"
"Julia Huzziff is an extraordinary life coach and motivator, so I was excited to read her first book. Turns out, its actually more of a "program" than a traditional book, but that's not a bad thing at all. Julia has a unique way of cutting through the noise and getting straight down to what matters most. This no-nonsense approach shines in a "journal" like this, where the goal is purely and simply, to live a better life. It's not fancy, but it's useful and incredibly motivational. Julia keeps the reader engaged in the process ("program" might be a better word) while gently but relentlessly nudging at their comfort zones. The approach is very effective, and her insight and total lack of pretentiousness are inspiring. Recommended".